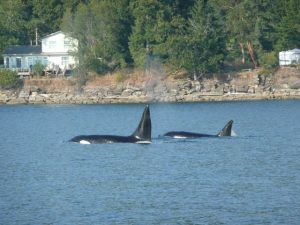 Charter company - How did we get involved with Nanaimo Yacht Charters? 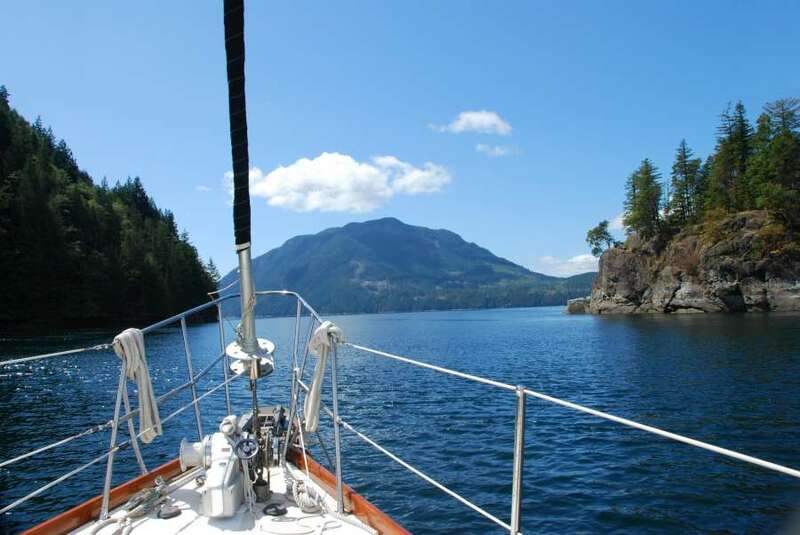 How did we get involved with Nanaimo Yacht Charters? My deep sleep was interrupted by a phone ringing. I cast my eye across to the alarm clock on my bed side table; it was 3 o’clock in the morning. Who could be ringing at this ungodly hour? It was one of those calls that all with aging parents dread. It was my very shocked mother with the worst possible news, the fog of being deeply asleep cleared in an instant as I digested the news that my father had suffered a massive heart attack and had died very suddenly in the middle of their daily walk around their suburb of Nanaimo on Vancouver Island. Within one hour my wife Shari had a very stunned me booked on a fight from Athens to Vancouver departing that afternoon, twenty four hours later I landed in Vancouver and two hours after that I was on board a ferry bound for Nanaimo. I had heard at great lengths from my parents all about the beauty of BC and felt consumed with guilt as I had always promised to visit but never got around to visiting. In doing so I had denied my dear Dad the opportunity of sharing this magnificent area with me. The funeral arrangements were very simple; I chartered a yacht from the local yacht charter company, “Nanaimo Yacht Charters.” It was a Beneteau 35 called “Prairie Rose.” The plan would be to fill the boat with food and beer and scatter his ashes. Exactly what the old man would have loved. On the planned day we were treated to one of the very best – weather wise. It was a crystal clear February day which had the coastal mountains displayed in all their majestic finery. It was so clear that you felt as though you could reach out and touch Mount Baker. There was not a breath of wind and the sun shone brightly and despite the time of the year it was quite mild, absolutely perfect for us. We motored slowly out of the marina and up Newcastle channel and out through the harbour. The mood on board amongst the family was quite somber, after motoring for about an hour we found ourselves off the magnificent Malaspina Galleries on Gabriola Island. We could not have selected a more magnificent spot to scatter the ashes. I cut the engine and the family gathered around the stern as I prepared to scatter the ashes. With a few words and very little ceremony I started scattering the ashes. With a heavy heart I watched as the ashes spiraled away from me into the depths. 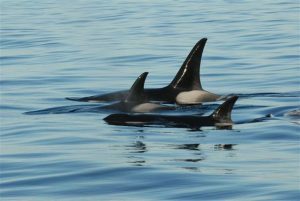 Just as the last of the ashes disappeared the most astounding thing happened – as though summoned for the ceremony we were immediately surrounded by a pod of killer whales. We were serenaded by these stunning creatures for more than half an hour. It was as though they had arrived to carry Dad away and because of the time of the year there was not another boat in sight- we had this incredible wildlife show all to ourselves. A light breeze filled in and we unrolled the genoa and followed our pod at a discreet distance. This magic continued for a further hour. It was the most memorable and beautiful experience imaginable and had a profund effect on me. On my return to Athens where I was running the Sunsail operation in Greece I was determined to start a Sunsail base in BC. 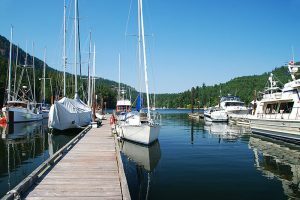 We tried unsuccessfully to purchase Nanaimo Yacht charters as fate would have it, it was sold just a few months after our experience on Prairie Rose. Four years after Dad’s passing Sunsail Canada opened in Coal Harbour, Vancouver. We settled in Nanaimo with our young family and I commuted to Vancouver. Seven years later we purchased Nanaimo Yacht Charters and moved the entire operation to Nanaimo.